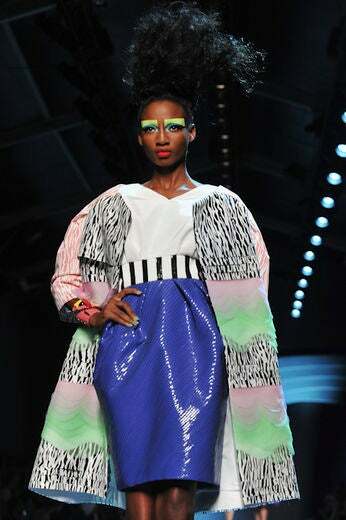 A colorful look makes its way down the runway at Christian Dior’s Fall/WInter 2011-2012 Couture show! High hair? Hot colors? What’s not to love about this beauty shot from the runway at Christian Dior’s Fall/WInter 2011-2012 Couture show! A closer look at the fierce wedges the models walked in during the Dior show! Big hair! Bold color! Beautiful clothes! What’s not to love about this Dior look which hit the runway at the 2011-2012 Fall/Winter collections. A closer look at another strappy masterpiece the models walked in during the Dior show! A closer look at the bustling skirt on this model shows what makes couture special: intricate, hand crafted pieces that are just as lovely to the touch as they are to the eye. Are you loving these ballerina inspired, height defying shoes? 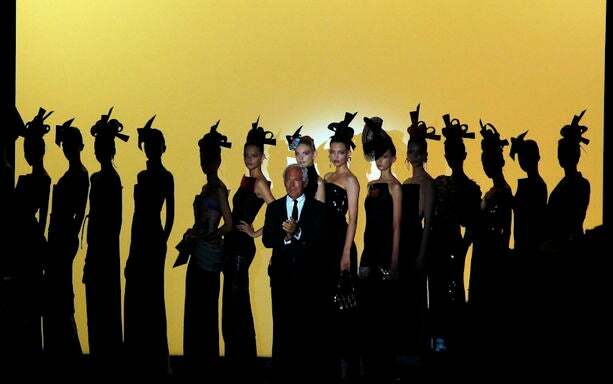 Over at Armani Prive, Mr. Armani took a final bow at the end of shows. Fascinator style hats – worn by all the models – were a dominant theme in his collection. 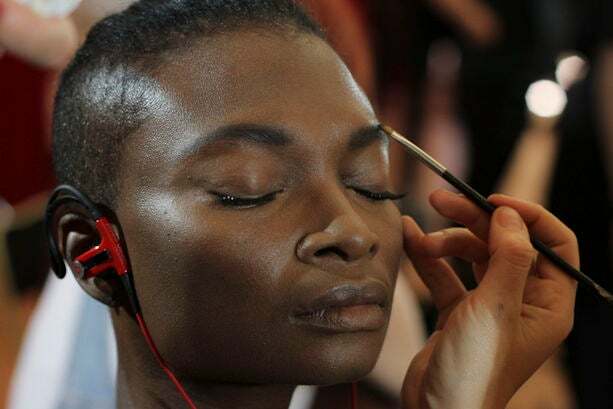 A model gets primped and pretty backstage at the lexis Mabille show. Gaultier put on a spectacular show filled with crinoline skirted dresses with fur trims like this one worn by Jourdan Dunn. Over at Eric Tibusch, the drama was high as models donned faux home extensions and oversized shoulders and tiny waistlines dominated.